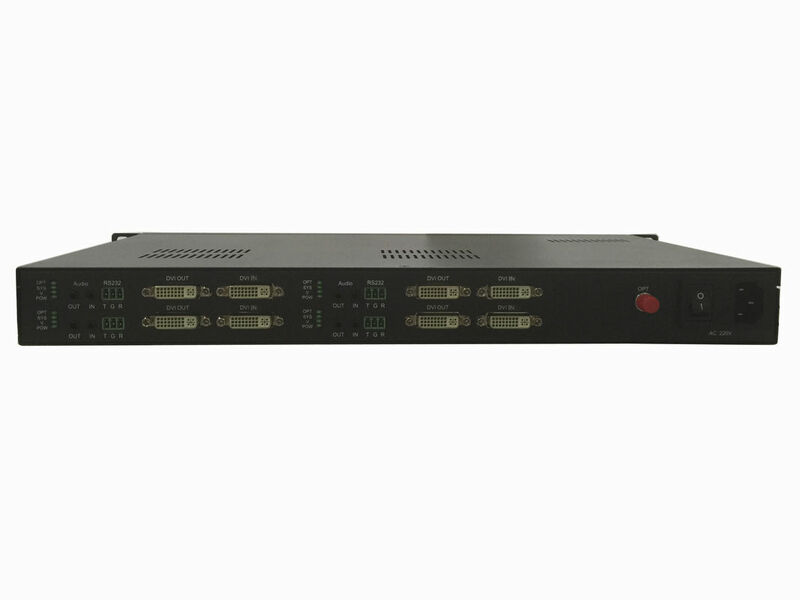 FL3201-4L is DVI fiber extender device of high-definition video transmission using fiber optic, just need a single fiber will be able to transmit 4 channels of 1920X1200@60Hz DVI signal with optional audio, data, it supports EDID by manual operation. This product is ideal for large-screen display, conferencing systems and home entertainment and so on. The device has the ability of anti-interference, to ensure the stability of the signal. Long-distance transmission of industrial monitoring and large venues, etc.